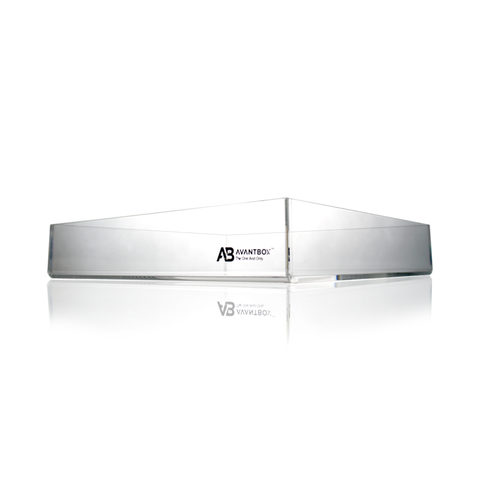 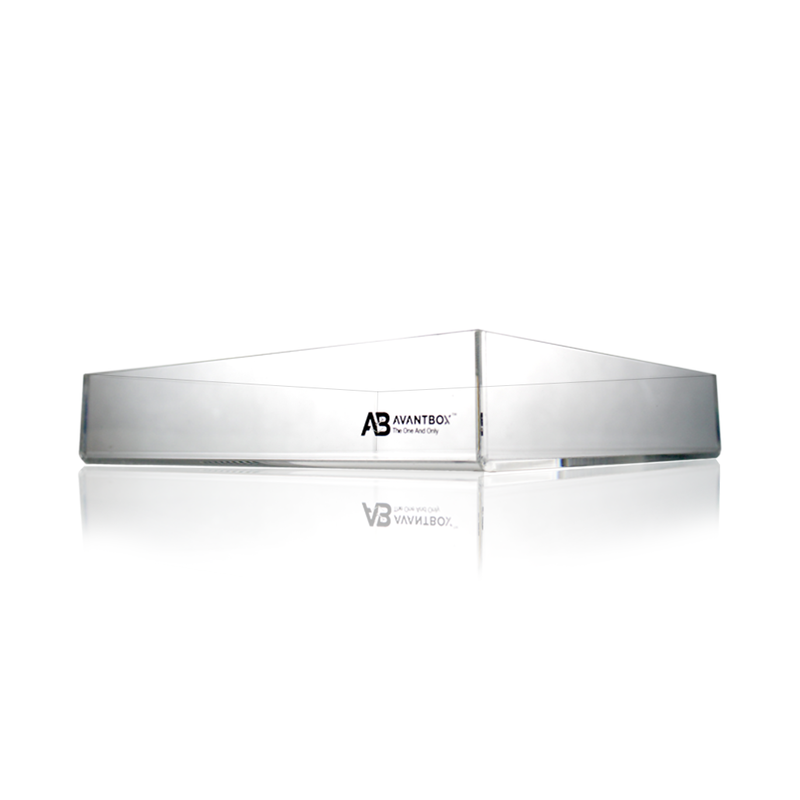 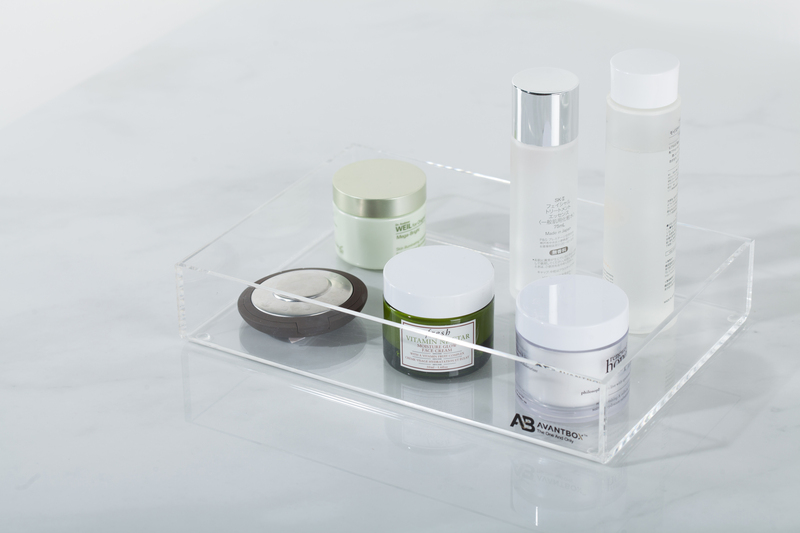 AvantBox Jessica is a beauty tray that can be used to store skincare, perfumes and body care products. 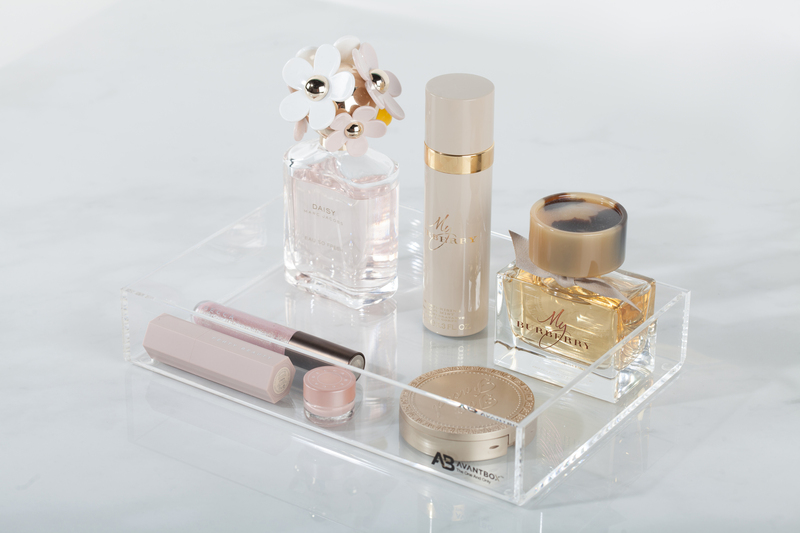 Having the same base size as the Belle organizers, Jessica is perfect to be paired on top of Belle organizers, as the 2-inch walls keep precious product safe in place. 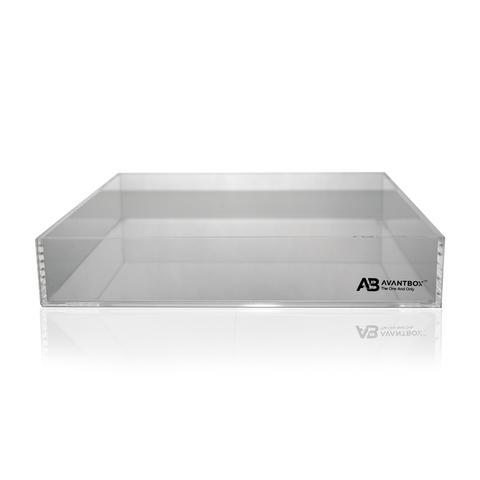 Also secured with anti-slip rubber pads to keep your organizers in place. 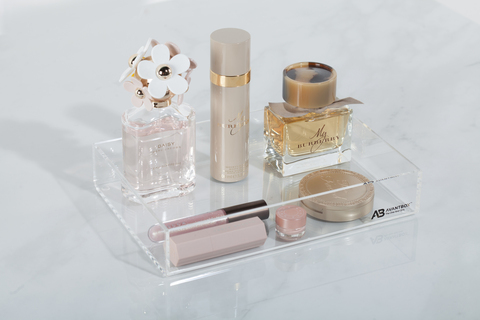 Made from premium-quality, crystal clear, pure Lucite acrylic, AvantBox Jessica will add elegance and sophistication to your vanity counter.